In your future planning for your child with special needs, remember to consider income taxation of special needs trusts. If you set up a special needs trust (“SNT”) with another law firm, the attorneys may not have discussed how you should file taxes for that trust. First, figure out what kind of special needs trust you have: “self-settled” or “third-party”? Third-party trusts may be “grantor” or “non-grantor” trusts, and non-grantor trusts are usually considered “complex” trusts by the IRS. Some complex trusts that meet specific requirements are called Qualified Disability Trusts (QDTs) and receive an additional tax benefit. The IRS designates trusts that contain language permitting the SNT creator to retain certain rights, powers, and authorities as “grantor” trusts. For example, if a child with special needs’ parents are contingent beneficiaries of the trust if their child with special needs dies before them, or if they are not the contingent beneficiaries but they control who are the contingent beneficiaries, it may be a grantor trust. Self-settled SNTs generally qualify as grantor trusts. Grantor trusts may file taxes using an Employee Identification Number (EIN) on an IRS Form 1041, or the grantor may include all trust income on his or her Form 1040 without the need for an EIN. When the grantor passes away, the grantor trust becomes a complex trust or possibly, a QDT. From a tax perspective, it is beneficial that self-settled SNTs are generally grantor trusts. The tax rates for non-grantor trusts are “compressed”, meaning trusts quickly reach the highest marginal tax rate, resulting in potentially larger tax liability than for grantor trusts. In contrast the beneficiary with disabilities, who is generally considered the grantor of the self-settled SNT is almost always in a very low tax bracket. Complex SNTs contain language giving the trustee total discretion to decide when, if ever, income from the trust is distributed to the beneficiary. Complex trusts receive only a $100 deduction, unlike the standard deduction of thousands of dollars that individuals receive. That said, most Third-Party SNTs qualify as QDTs and therefore get a $4,150 exemption. 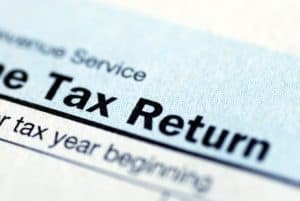 These trusts must report income on an IRS Form 1041 if the trust had any taxable income for the tax year, if the trust had gross income of $600 or more, or if the trust has a beneficiary who is a non-resident alien. Further, any distributions made to the beneficiary from the income (in excess of deductions) are imputed as income to the beneficiary, who is usually at a very low tax bracket, and it must be reported on a Form K-1. The trust can pay any income tax liability of the beneficiary as a result of the Form K-1. There are many other tax rules for complex trusts, which will be addressed, in part, in a future article focusing on QDTs.